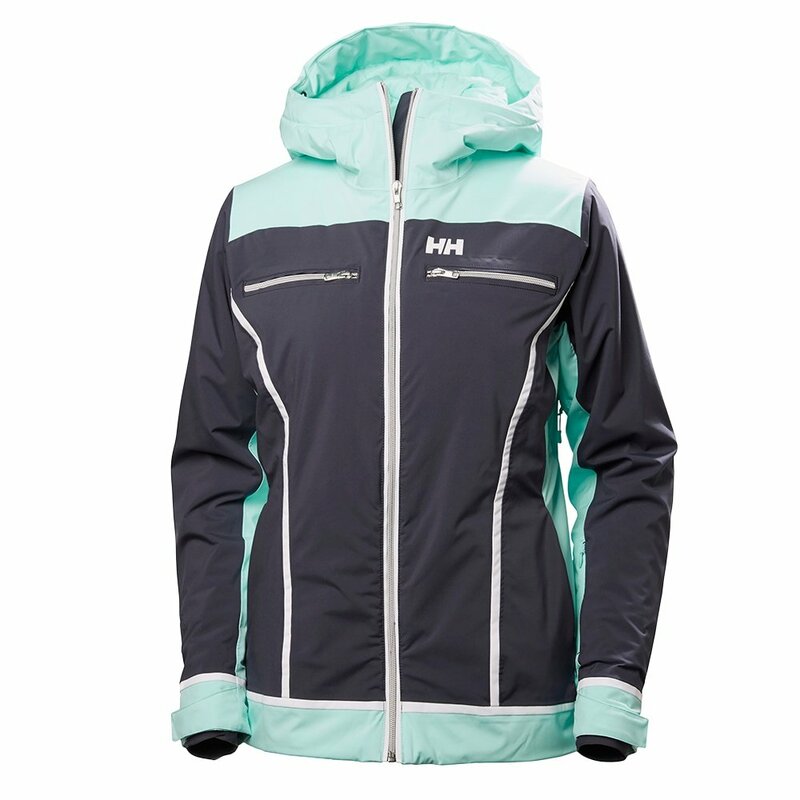 Be the belle of a snowier ball in the Helly Hansen Belle Ski Jacket. This performance-focused jacket supports your every carve, lift ride and hike. Helly Tech® Performance fabric fends off water and the wind while letting you breathe. Two-way mechanical stretch provides just the right amount of movement, letting you surge forward without discomfort. Helly's advanced H2Flow™ system lets you quickly trade warm trapped air for cool air, providing precise temperature control. Other handy features include the detachable hood, goggle pocket and RECCO® reflector. "What color is the green? I have HH snowpants that are Glacier and it looks the same." "The color Graphite Blue would be more of a Light Turquoise than green. We hope this information helps! "